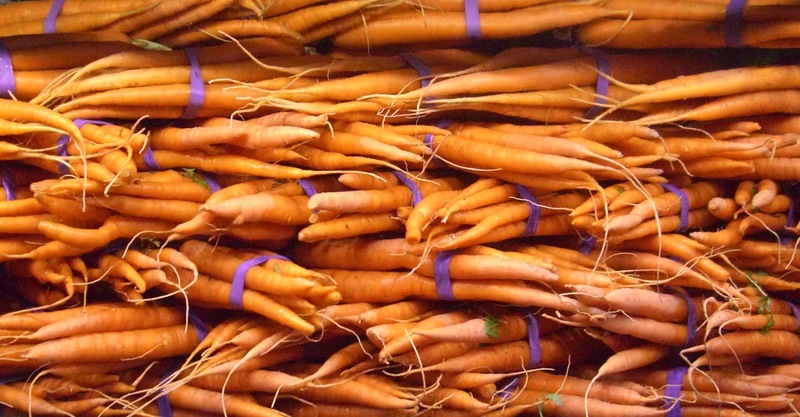 Artfully arranged produce is more of a European specialty, so these carrots were a surprise. Stacked like angled bricks, they form a wall of horizontal orangeness. The purple rubber bands chime in with an additional, contrasting rhythm. 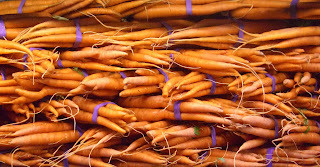 It's a colorful, jazzy tune, high in beta carotene.